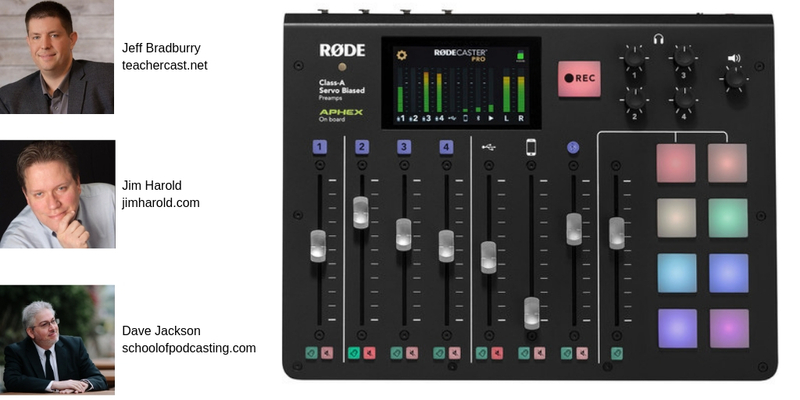 The Rode Rodecaster Pro has caught the attention of many podcasters, and some have pulled the trigger. 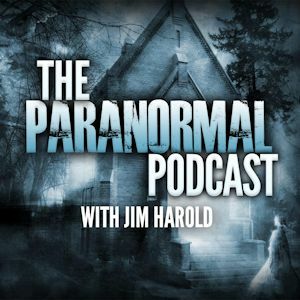 Jim Harold (Paranormal podcast) and Jeff Bradury from Teachercast have purchased the unit. I want to thank Rode for shipping me a unit to play with. Their first impression was amazing. The Aphex processing would cost you $345. The Rodecaster Pro clocks in at $599 and you avoid all the cabling all over the place. You don't have to learn about “Gain staging” and if you're using a half decent microphone, you're going to sound great. Jeff had a situation where he needed to interview someone over the phone and it turned out great. Jim loves the ease of use, nd enjoys having a noise gate to cut out room noise when he's not talking. He really loves the sound the unit is producing. At the time of the recording, Jim had used it for 4-6 new episodes. Jim has used a Sound Devices Mixpre-3, and a Zoom L12, but really loves the sound he is producing with the Rodecaster. Jim also records a show with his wife called Soulmate Stories and it makes it super easy to pull in people who want to share their stories. Jim also hopes in the future there is a way to access recording without having to take the micro SD card out. If you produce multiple shows, it would be nice to have presets instead of having to reload the jingle buttons. Jim is also on a Mac. Jim also feels that while he doesn't miss having separate tracks for each person, it would be nice to offer this option in the future. First of all, I was blown away by the package that was sent to me from the Rode people. This was my first interaction with this company, and I'm not sure I've experienced such a great first impression. I love that you can configure this in minutes. You simply pair the unit with your phone and you're off and running. I used it on Saturday for a live show using Google Hangouts and also on a Group Coaching call using zoom.us and while Rode says it's not setup for the USB to be “mix minus” it appears to work . I like that you can reset the timer if you make a flub and want to start again without stopping the recording. I love the built in headphone amplifier (don't miss the 3.5mm on the front if you are flying solo). I have my headphones plugged into one, and my studio monitors into another. I am having a slight playback issue (I'm the only one of the three using a new Windows machine). I also hate the MicroSD Card and would love to drag and drop the files to my computer without having to take the card out. I wish there was a pause button so if something goes wrong you could pause the recording. I also wish there was a pause on the jingle buttons so if you wanted to stop and comment on something and then resume your could. While Dave doesn't miss separate tracks (but admittedly he is interviewing podcasters who have decent audio quality) he does wish there was a tad more control over the tone. [46:18] I had a weird playback issue that apparently does not go into the recording. It is somewhat like a “buzz” that only I hear (not the people on the call. As I just recently got my unit, and started putting it through the paces I am the only person I know having these issues. I have contacted Rode support to see if there is something on my end). I have found that whatever program I'm using if I temporarily switch what I'm using for a microphone it goes away. 52:54 The Rode Procaster has a very warm sound to it. While I didn't have a pop filter on it, but not talking directly into it I had no popping issues. The RE320 has a nice clear sound and really there is no bad choice here. For me, I've been using the RE320 for years. I enjoy the clarity, and the tone doesn't seem to change much if I get close to the mic. The Rode Procaster is $189. The Electrovoice RE320 is $299. If you are looking for the warmth of a Heil Pr40 without the $327 price tag, you might give it a shot. There is a WS2 Windscreen for the Procaster if you want one. Do your best not to talk over each other (although channel one can be set as the “top dog” with a ducking feature which turns everyone down). There is no way to tell how much time is left, or how long a jingle will be playing. With this in mind, don't have music you have to “talk up” and then have the music fade in. This would take some practice, or the music you are talking over has to be OBVIOUS when it's time to fade it back in. 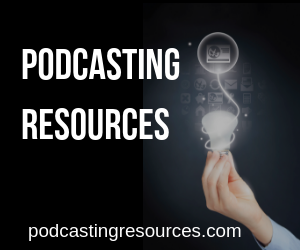 With the above items, with a little planning ahead you can sound like an old radio pro in minutes. So if you have a co-host(s) and occasionally have a guest who wants to call in via the phone – this is THE solution. Last week I used the Rodcaster Pro to take phone calls on a live streaming program. I used Google Live (formerly Google Hangouts on Air) for my video. I if you just want audio you can use a tool such a mixlr.com to stream your audio to your audience, or spreaker.com which also will stream audio. To create a call queue, I used callinstudio.com. I attached my phone to the Rodecaster Pro via Bluetooth, and called my host number at callinstudio.com and gave out the callinstudio.com phone number for the callers. I monitor the calls via callinstudio.com and can add them to the call, or drop them if needed. They came through and sounded great. Could someone use the Rodecaster without eyesight. Christopher. I think if you had someone with sight set it up, you could from there. There are some screens you go through to setup the microphones, and those may be a challenge as there is no screen reader in that case. But once it was setup with the microphones and your phone connect, you could. What is the max size sd card the RODECaster will take? Zoom H-5 won’t recognize anything above 32 gig. As I was recording my most recent podcast episode, I was reminded of why I NEED separate channels for me and my (phone) guest. This guy, with whom I have recorded multiple episodes, is always rustling papers, creaking his chair or who knows what. If I couldn’t cut the noise out of his channel, the quality of my recording would suffer horribly. A lot of my guests are not audio-savvy. They can manage FaceTime or phone or (maybe) Skype, and I ask them to find a quiet place, etc. Maybe if I was quick on the sliders, I could do it “live to drive”, but for now, it just doesn’t work for me. Guess I’ll stick with my mixer and Zoom H5. Can the rode caster pro handel shure Sm7b ? Or need cloudlifter ? From what I’ve seen in other videos, it can handle it. With that said, a fethead or cloudlifter is never a bad idea, but from what i’ve seen it can handle it. Rode released an firmware update that will allow for multiple audio tracks now. What about line-in? Say I have a mixer, 2 DJ decks and a DJ playing in my podcast. How do I connect the console to the podcaster? TRSS? Is there any way to add a 5th microphone? (Can you use the USB for a USB mic?) We usually have four hosts, but occasionally have a guest. Hi i am starting an internet radio could I use it for that porpuose ? And, also i might need two inputs for music and autiomation and two outputs for live streaming would ii be able to handle it? 1. What is the output format, multi-channel files or separate files? 2. Can you connect a PC and use Skype via USB?